Kristen Lorello is pleased to announce Bayne Peterson's first solo exhibition of sculptures at the gallery. 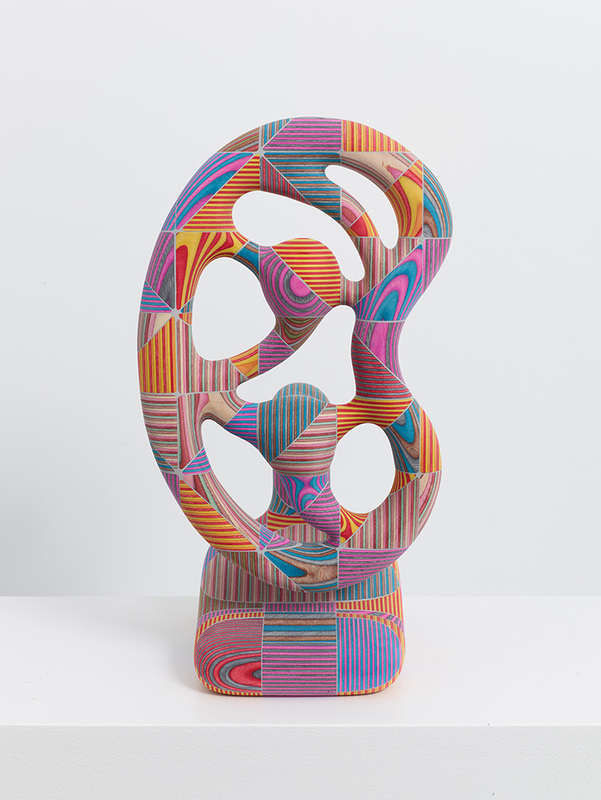 The exhibition, entitled "Curves," will include three hand-carved dyed plywood sculptures and two metal sculptures, made in a process of digital fabrication and lost wax casting. Peterson's solo exhibition follows the artist's inclusion within a two-person exhibition at Kristen Lorello in September 2015. Bayne Peterson (b. 1984 Palo Alto, CA) lives and works in Providence, Rhode Island, where he teaches in the Graduate Studies Department of the Rhode Island School of Design. He received an MFA in sculpture from the Rhode Island School of Design in 2013 and a BA from Vassar College. Upcoming group exhibitions include Selections from the Modern and Contemporary Collection, RISD Museum, December 2016, Underlying System is Not Known, Western Exhibitions, Chicago, Illinois, January 2017, and Graham McDougal + Bayne Peterson, Providence College Galleries, Providence, RI, January 2018. His work is included in the collection of the RISD Museum.